The Pic-a-daily Project: Happy Birthday, Shyne! Chocolate Ganache never dissapoints. Which is why this cake has found its way in here, way more than any other. Always loved the graffiti meets bird's nest inspired design they've incorporated into the outer ring. 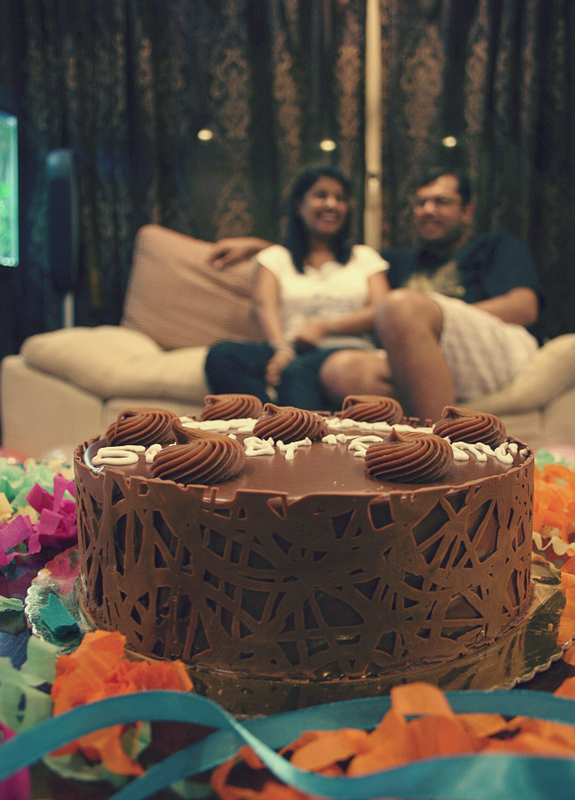 From Shyn's surprise Birthday dinner held at the Subi-Njeya Residence. Vipin & Princy in the background.